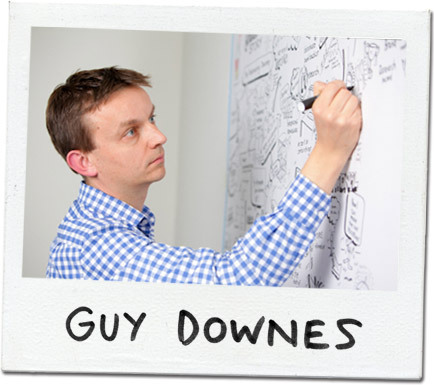 Guy Downes uses cartoons and illustration to prod, question and explore business thinking, ideas and concepts. In today’s busy work environment, Guy believes that simple cartoons can open the door (wide open, half way or even just ajar) to fresh ways of thinking, new conversations and questioning among audiences about work-related topics. Based in Australia, Guy has run his own corporate visual communications practice since 2009 and prior to this he spent 10 years working for international public relations agencies in London and Sydney. 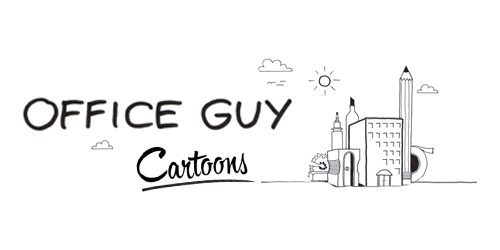 Cartoons and illustration are the core of Guy’s corporate work and he is never far away from his paper and pens. Guy illustrated the business book called ‘Doing Good by Doing Good‘ written by Peter Baines and published by Wiley. The books addresses how creating shared value can drive employee engagement and power business growth and innovation.